Thanks for the information, Nour! 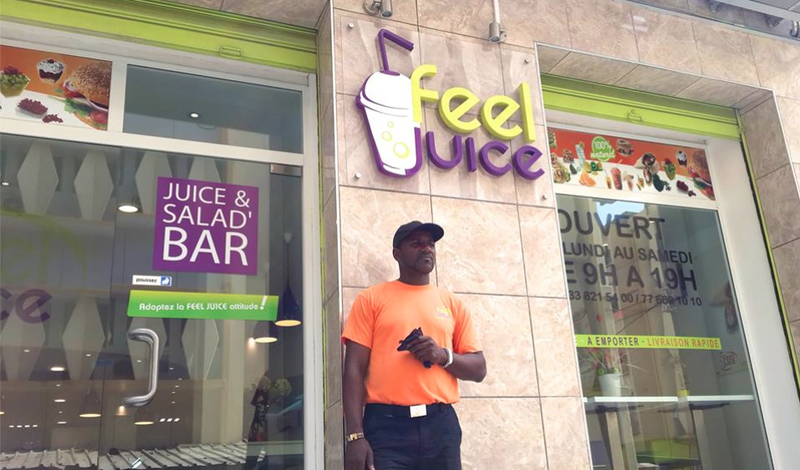 Feel Juice is an international franchise with locations in France… and now Dakar! 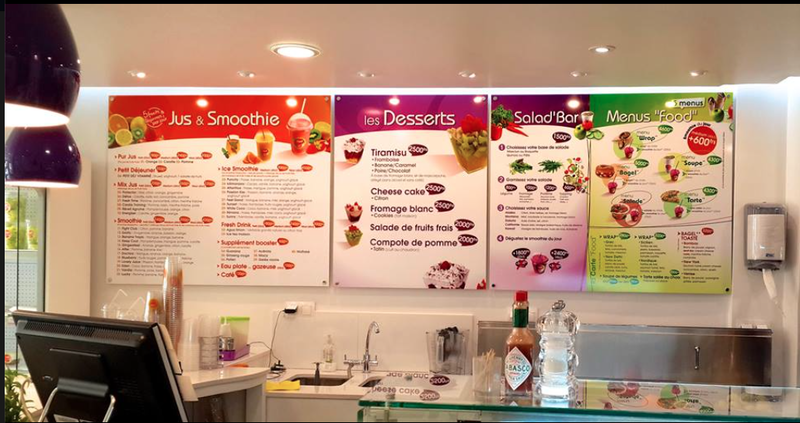 The set-up is basically bars for everything: a salad bar, a fruit bar, a smoothie bar (they have pre-made combination but you’re free to change all of them) and coming soon…a bagel bar! They also do some quiches and pizzas. Everything is fresh and made right in front of you. 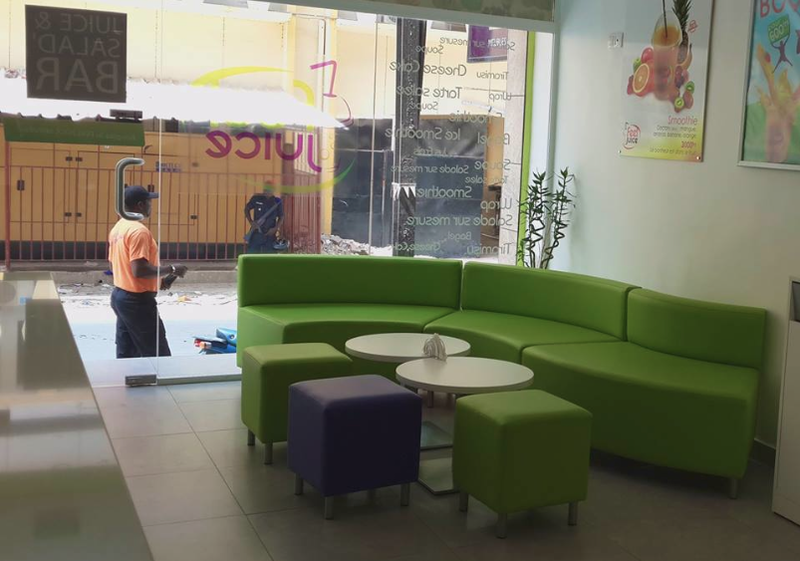 Open Monday to Saturday from 9am to 9pm. Eat in, take-out and delivery. 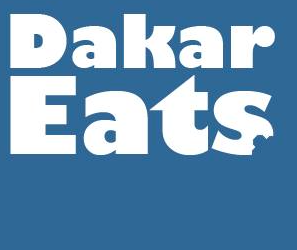 Previous The most underrated restaurant in Dakar? 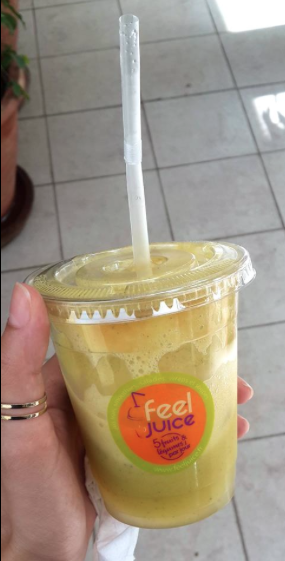 Feel Juice is one of my favorites places in Dakar. When I got the morning walk I take a fresh lemon juice and when I back from morning walk I take a green juice. 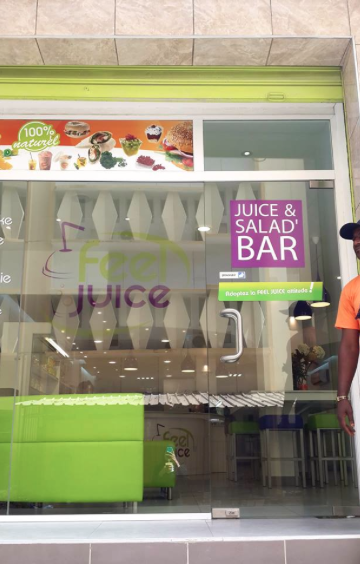 This is kind of routine with Feel Juice in Dakar.